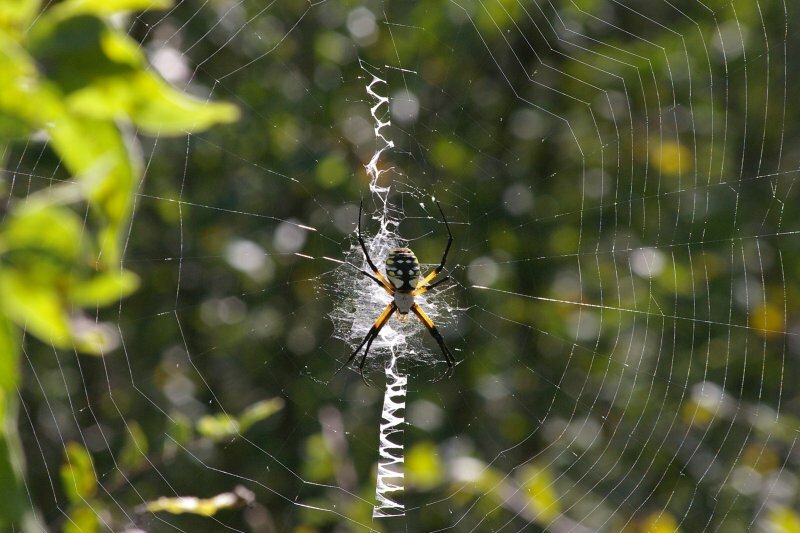 This large Black and Yellow Garden Spider was photographed at LISDOLA the Lewisville Independent School District’s Outdoor Learning Area. 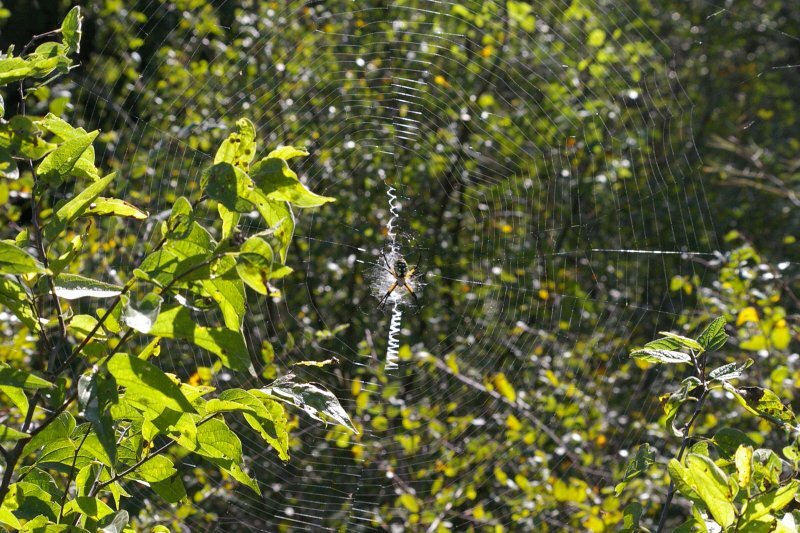 Notice the stabilimentum—the conspicuous silk structure included in the webs of some species of orb-web spider—in the pictures below. 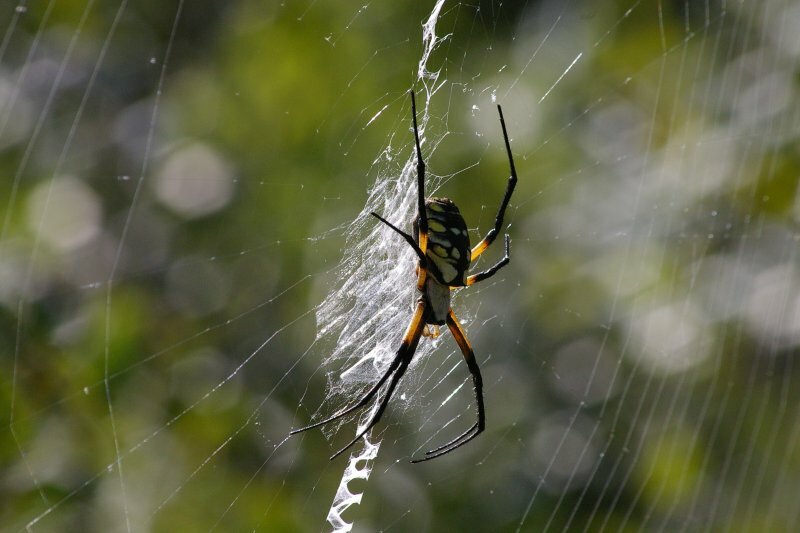 The purpose of this structure on the spider’s web is unknown, but there are many theories.